Many race fans will be familiar with this circuit and in 2015, the Formula One series returned to Mexico. But what do you know about the brothers after which the circuit is named? Theirs is a story that shouldn’t be forgotten. 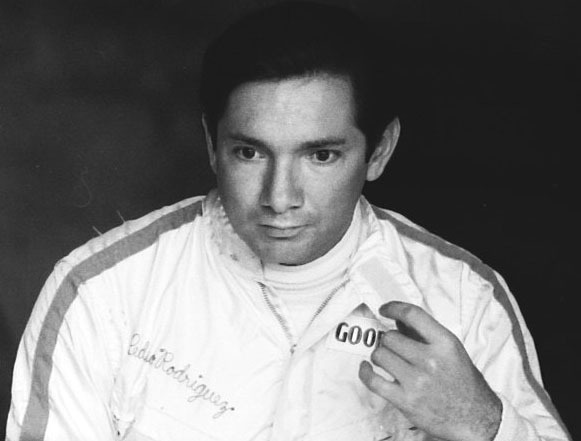 Pedro Rodríguez was born in 1940 in Mexico City. He had three brothers and a sister. However, the other brother who is also commemorated in the name of this circuit was his younger brother Ricardo. Ricardo was two years younger, having been born on Valentine’s Day in 1942. 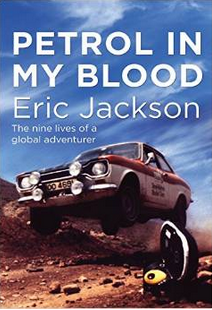 As youngsters, both boys raced cycles, progressed into motorbikes and then into racing cars. Ricardo was almost immediately seen as a future racing star. He was given a guest drive by Ferrari in the 1961 Italian Grand Prix. He was, at the time, the youngest driver (at 19 years and 208 days old) to start on the front row of a Grand Prix grid. He had married his girlfriend Sara just two months before. He was impressive in the race but had to retire due to fuel problems. It was during that race that one of the worst ever Formula One accidents took place. On the second lap, fellow Ferrari driver, Wolfgang von Trips*, collided with Jim Clark’s Lotus and became airborne. It went over the barriers and into a group of spectators. Fifteen of them, and von Trips, were killed. The following year Ricardo was given a full works drive by Ferrari. In those days, this didn’t mean that he competed in every race but every time he did, he showed how impressive he was. Disappointment was ahead though. He was looking forward to racing for Ferrari in the 1962 Mexican Grand Prix, his home race, but the team decided not to enter. It was not part of the championship so no points would have been gained for the Italian team. Ricardo signed up to race in a Lotus. During practise, his car crashed through the barriers and he was killed instantly. He was twenty years old. The newspapers reported that his parents, his wife Sara and his brother Pedro were all in the pits at the time of the accident. They also reported that unofficially, it was the nineteenth death in motorsport that year. Eleven of the fatal accidents had happened in the States, eight in other parts of the world. None of this, even his brother’s death, put Pedro off the sport. He considered it but he had been racing cars since 1957 – his debut too was in a Ferrari. He too was successful. His own Formula One Career started in 1963, just a few months after the tragedy in Mexico. 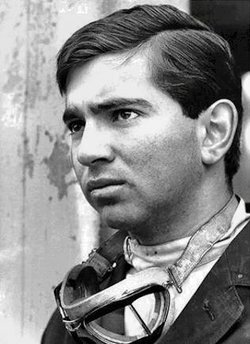 He continued successfully several series, including sport cars – he won the 1968 Le Mans 24 Hours with co-driver Lucien Bianchi. (Lucien was the great-uncle of Jules Bianchi was was so badly injured in the Japanese Grand Prix in 2014 and who died of his injuries in July 2015). Like his brother, Pedro’s luck ran out. It was on July 11th, 1971. His car hit a wall and caught fire. He died two hours after the accident. He was thirty one. Pedro had been married in the same year as his brother. He also had a girlfriend in England. Neither brother left any children. *Note: In 1961, the year of his fatal accident, Wolfgang von Trips started a kart track in the German town of Kerpen, where he resided. That name will ring a bell for many Formula One fans. Later, the kart track was leased by a local man named Rolf Schumacher. It was there that his two sons, Michael and Ralf, began their racing careers. Thanks Dreya! Curiously the 2015 Mexican Grand Prix – the first since 1992 – will be on the 53rd anniversary of the day Ricardo was killed at the very same circuit.